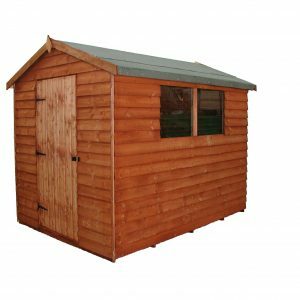 Pent sheds have a sloping roof from front to back, providing maximum headroom on entry while still ensuring effective drainage of rainwater. 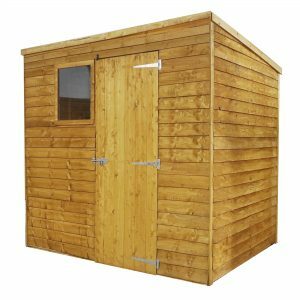 The higher roof and overall shape of pent sheds provide great flexibility at an affordable price. 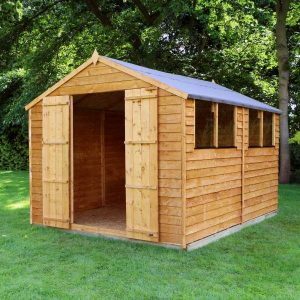 This design combined with the tough and weatherproof overlap construction make our pent sheds the best quality you’ll find. 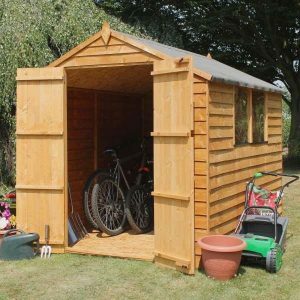 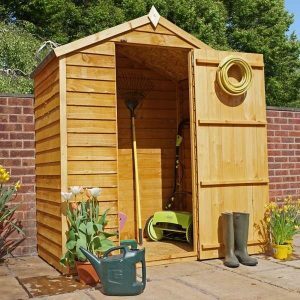 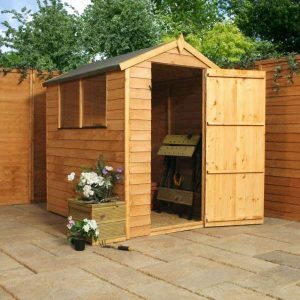 The design of our overlap garden sheds guarantees the very best weatherproofing with each piece of premium timber securely attached and overlapping the board underneath. 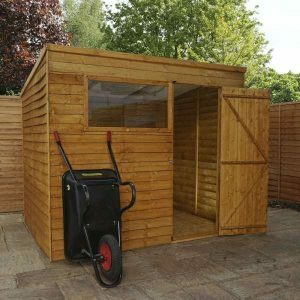 This protects against leaking, leaving your shed contents dry and secure. 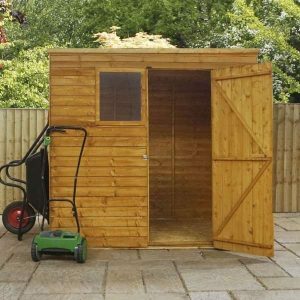 To explore our range of overlap sheds either browse through our online catalogue or visit our showroom in Exeter. 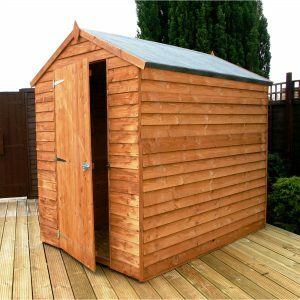 All of our overlap wooden sheds are made in the UK, but we don’t just deliver locally to Exeter and Devon! 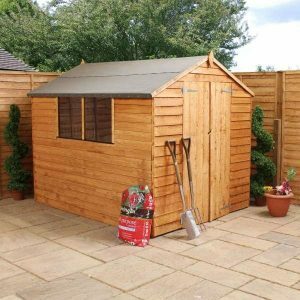 We also provide delivery and installation services to mainland England and Wales so there’s no reason why you can’t take advantage of our great prices and high quality today. 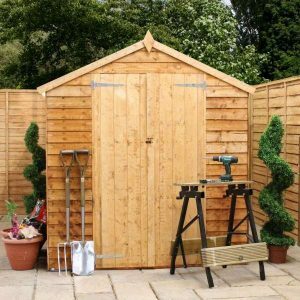 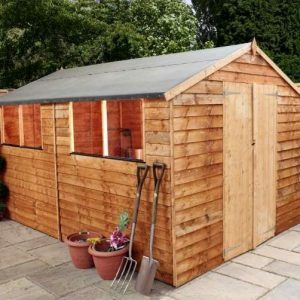 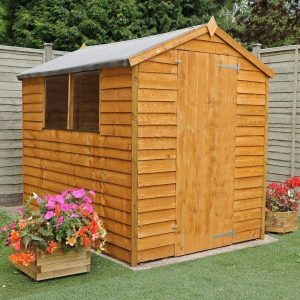 For premium wooden sheds which are built to last, there’s no-one better. 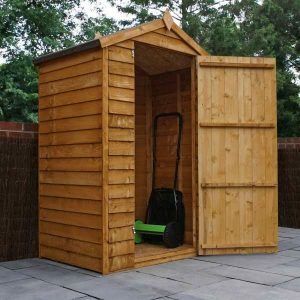 Overlap sheds feature high grade sawn timber boards which are securely attached and overlapping the board beneath. 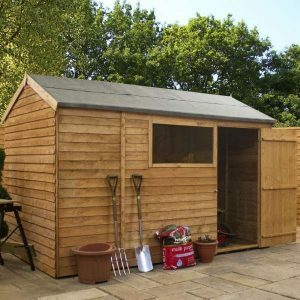 Overlap cladding is strong and sturdy, and its design ensures no rainwater leaks into the garden shed.